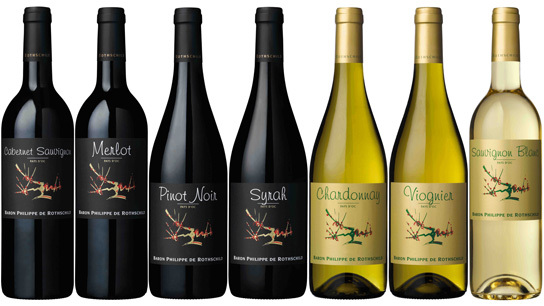 Baron Philippe de Rothschild makes varietal wines from the south of France, including Cabernet Sauvignon, Merlot, Pinot Noir, Syrah, Chardonnay, Sauvignon Blanc and Viognier. Four varietal wines made from grape varieties known and appreciated worldwide for their aromatic potential : Cabernet Sauvignon, Merlot, Sauvignon Blanc, Chardonnay. A successful marriage of Pays d’Oc richness and Baron Philippe de Rothschild elegance and style. 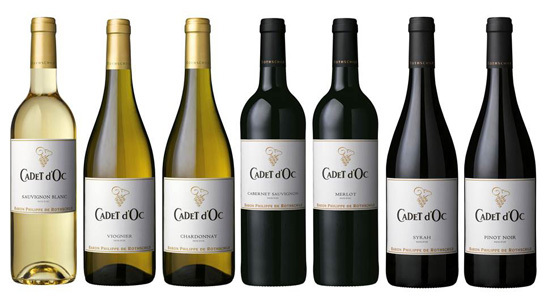 A brand name rich in meaning, evoking the wines’ dual origin: the family origin in “Cadet”, the younger child of the family, and the geographical origin in “Oc”, the Pays d’Oc. A wide range of flavours and an extraordinary diversity of terroirs combined with Baron Philippe de Rothschild’s expertise.